But rather than lean heavily on Fred Armisen and Carrie Brownstein to carry every scene in some persona or another, the director’s cut expands to include more of the quirky populace of Portland — an angry guy in the brunch line who liked The Fisherman’s Porch before it was cool; a pretty girl who is eating for the first time in ten days at the Porch because she was on the Master Cleanse; the doctor who revives her when she inevitably faints while waiting in the hours-long line; a kid hustling aspiring brunch eaters by selling water and distributing intel on what’s happening inside the restaurant. The crowd of Portlanders is actually a crucial aspect of the feel of the whole episode; it sort of feels like the entire city is involved in this adventure story, one part tongue-in-cheek commentary on the brunch craze (featuring Kyle Maclachlan and Ed Begley as, respectively, the mayor of Portland and an owner of an unpopular brunch restaurant), one part faux-thriller about the gritty streets of Portland (featuring Tim Robbins as some kind of crime lord who enforces the unspoken rules about the brunch line). Portlandia is ostensibly about Portland, but usually the audience only experience Arimsen and Brownstein — who are talented, but hard to relate to, especially as they keep switching roles. Part of Portlandia’s charm is its unrelatability — who is really going to wait six hours for brunch, after all? — but for once, it was nice to meet some other characters, who reacted to events a little bit more realistically, even if they are all obsessed with marionberry pancakes. In fact, this extended director’s cut moved away from sketch comedy, Portlandia’s typical shtick, and into straight-up parody, which might be more common, but is also easier to pull off. This show’s sketches in particular tend to drag out one particular gag or another for far too long, which, I’ve noticed, can lose the audience partway through a scene. Sometimes it comes together in a stunning finish, like the famous “put a bird on it” sketch from season one. But the rest of the time it leaves you kind of scratching your head, waiting for a punch line (I feel this way about most of the sketches involving the owners of the Women and Women First bookstore, Toni and Candice). Perhaps that is because sketch comedy draws heavily on the richness of its characters to succeed, while parody lets the viewers fill in flat characters with the expectations they bring to the screen. It’s interesting: It seems like Portlandia would make more sense as a parody sitcom anyway, considering it’s trying to skewer the residents of Portland (and the culture they represent) in each episode. Their reliance on the sketch format is probably due to Lorne Michaels’ influence (he’s an executive producer) and Armisen’s background at Saturday Night Live, but it’s definitely sloppier, and so the show is weaker as a result. Meanwhile, as a parody, it was surprisingly engaging. And “Brunch Special” is kind of a double-parody. The extended cut makes brunch into a citywide quest for food, and populates that overarching narrative with (completely ridiculous) romantic and heroic subplots. The featurette starts out with a shot of Carrie Brownstein taking direction from Jonathan Krisel. He is about to shoot the last scene of the finale when he runs into a production hitch that becomes a logistical nightmare and a months-long cross-country quest: The famous marionberry pancakes that are supposed to create havoc in the streets of Portland just aren’t good enough. Jonathan’s mission to make pancakes worth waiting six hours in line for leads him first to the doorstep of Lorne Michaels, who is somehow really funny all the time, even when he’s not doing anything special, and finally to Bobby Flay, who points out frankly that marionberries are just kind of weird blackberries, but still agrees to help. In fact, the delivery and execution of both parts of “Brunch Special,” which were bookended by charming little monologues and light piano-playing from Kyle Maclachlan, reminded me of one of my favorite comedies, Community. That’s a big comparison to make, of course. The shows are quite different. But the parody that came through in both parts of this episode, as well as the Portland community coming out as a major character in its own right, reminded me of Community’s focus both on the Greendale student body as a unit and how that show manages to make every plotline self-referential in some way, shape, or form. 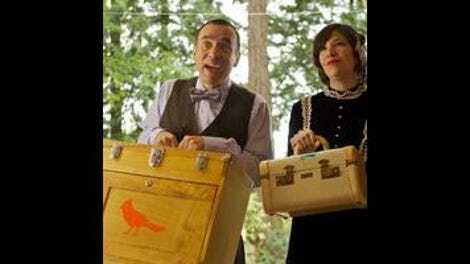 Portlandia isn't as good, but it is light and fun, which makes it worth watching. Armisen and Brownstein are so much more appealing when they just play Carrie and Fred (which they did a few different times in this episode). Kyle Maclachlan and Ed Begley were incredible. Maclachlan is the perfect idealistic Portland mayor, kayaking down the river to avoid traffic, and Begley is fantastic as the slighted restaurateur who can’t sell a brunch special, even at 99 cents. But Tim Robbins was woefully underused. Maybe the funniest thing about “Brunch Village” is that the pancakes actually turn out to be worth the wait at the end.